A blind spot, or scotoma, is an area on the retina without receptors to respond to light. A blind spot is actually a small area within your visual field that contains no detected vision. It may sound like a physical defect, but everyone has a natural blind spot or physiological blind spot in their vision. The blind spot contains no cells to detect light on the optic disc, so the corresponding part of the field of vision is invisible. Every human eye has a blind spot. Your blind spot is located about 12–15° temporally and 1.5° below the horizontal and is roughly 7.5° high and 5.5° wide. In easier terms, your blind spot is located on top of your optic nerve inside your eye. The optic nerve is a cable that carries many nerve fibers to the eyeball from the brain. The optic nerve enters the back of your eye and spreads nerve fibers onto the back of the eye to make up the light detecting cell layer (the retina). The small round spot where this cable enters the back of your eye is called the optic nerve head or optic disc. There are no light-detecting cells on this disc. As a result, you have a very small gap in the visual field of each eye. You can find your blind spot by performing the following experiment. The procedure is simple and only takes a few minutes. All you need is a piece of white paper and a black pen or marker. Alternatively, you can easily find a blind spot test online. Take a piece of paper and mark an X on the left side. About 5 ½ inches away from the X, mark an O. Make sure they are horizontal to each other. Each of your eyes has a visual field that overlaps with that of the other to compensate for your blind spot. Your brain is very efficient at using the information from the other eye and other spatial information to "fill in" missing information. Your brain continually makes its best guess as to what is missing. Even thug you have a spot that doesn't actually have vision, you never notice it. A blind spot that you notice in your vision is not normal. If you think that you have one, see your doctor. You may want to prepare for your visit by answering these questions in advance. Does the blind spot come and go? Does the blind spot move in your field of vision? Do you have any other symptoms that occur when you see the blind spot? Are flashing lights associated with the blind spot? Does the blind spot only affect your upper or lower visual field, or does it affect your right side or left side? Does the blind spot only occur in one eye or do you see it in both eyes? 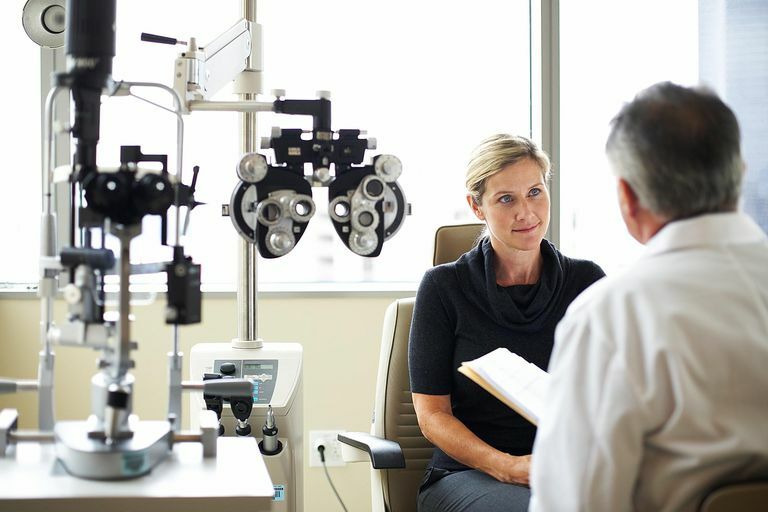 Your doctor will conduct Amsler Grid testing and automated visual field testing in order to map our your vision and isolate where the blind spot is. Your doctor will also check your visual acuity and dilate your eyes with special medicated eye drops so that your retina can be examined. Some blind spots can be caused by a simple migraine, while others can be caused by glaucoma, macular degeneration or retinal detachment. A retinal detachment is a disorder in which the retina separates from the layer underneath. Symptoms of retinal detachment include seeing an increase of floaters and flashes of light, and a decrease in the outer part of the visual field. Without prompt and proper treatment, permanent loss of vision may occur. If the macula is involved, you may receive a worse prognosis. See your eye care professional quickly if think you have a blind spot in your vision. Your eye doctor will be able to quickly assess your condition and offer immediate treatment if necessary. Gudgel, Dan. Eye Exercises May Improve Vision Around Blind Spot. EyeSmart, American Academy of Ophthalmology. 29 Sept 2015.